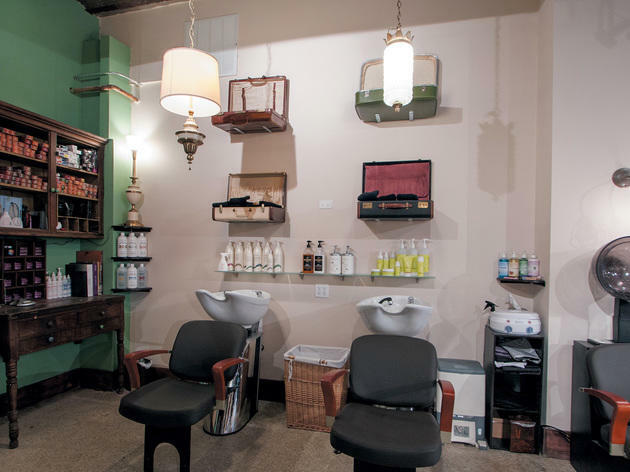 There’s more to this library-themed Logan Square salon than straightforward cuts and coloring for men and women. Owner/licensed barber Christine Conley and her business partner/licensed cosmetologist Coral Gable studied costume design at DePaul University as undergrads, where they focused on wigs and makeup—an expertise they also bring to the salon. Get a custom-made wig (or even a faux 'stache), artful costume makeup (regular makeup, too, for that matter) or an expert cut and color. 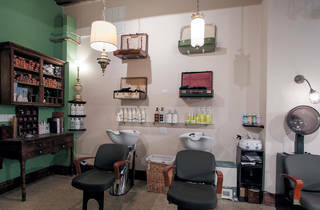 The salon also specializes in "Deva Curl" cuts for curly hair. Prices are great, too, starting at $40 for women's cuts and $25 for the guys. El: Blue to Logan Square. Bus: 56, 76, 82.